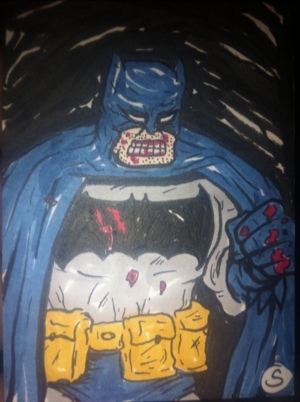 Sketch card of batam DKR! Pen and ink with copic markers. 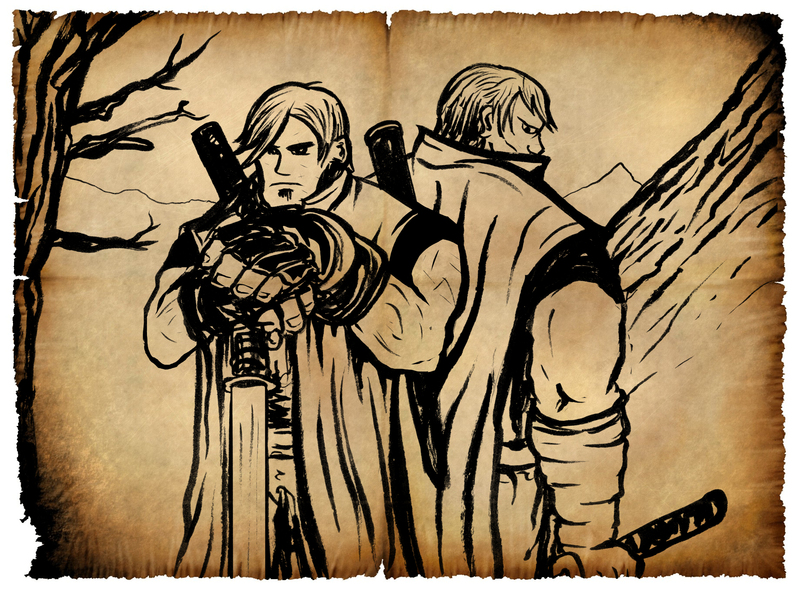 Since I am in Jersey for the week taking a Joe Kubert class, I have a lot of free time to work on my comic. 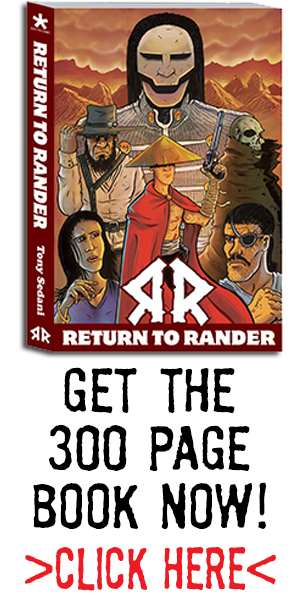 Return to Rander. This is a lil snippet. Not much but it’s progress. If all goes as planned I will be starting pencils on issue #1 in 1 week! 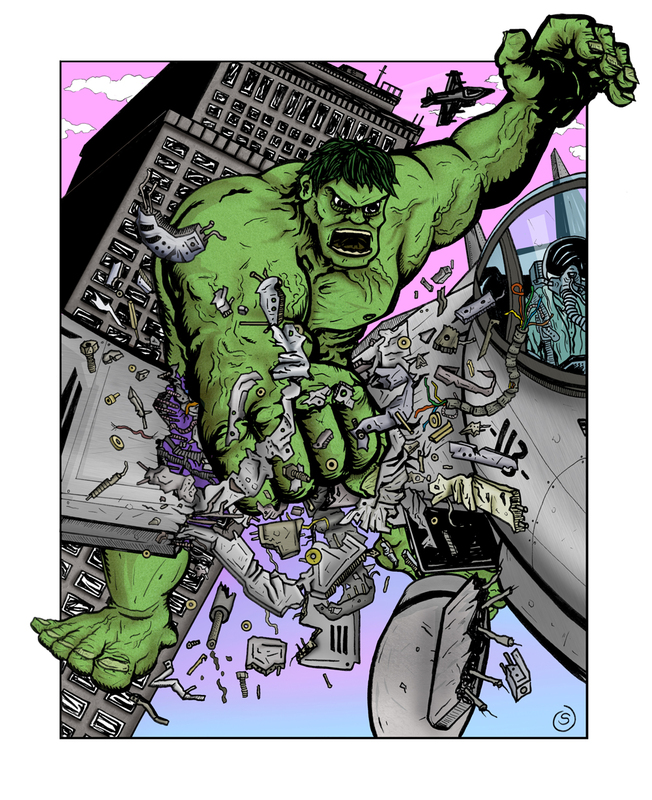 Here is my latest Pummel piece over at Penciljack.com The topic is Hulk Smash, and that is what I have him doing. The usual pencils to inks to digital colors. Here is the final Stock*Pile Sketch of the week. 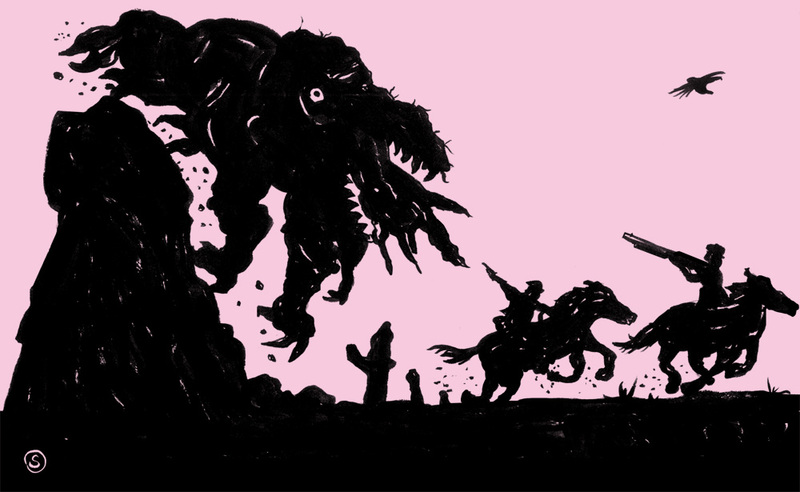 I don’t know anything about Jacob Rhodes’ The Wild Riders except it has some dudes on horses that fight monsters. And that is all i need to know. I hope to see more of this someday. 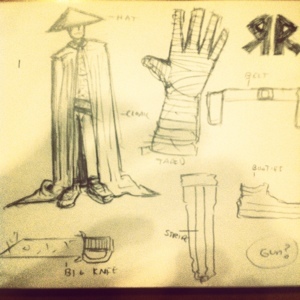 That wraps up the stock*pile comics week of sketches, so if any of these properties intrigued you, head on over to http://www.stockpilecomics.com and show them some support! My anatomy is way off in this sketch, I was trying to go for a big hand look, but didn’t turn out how i expected. 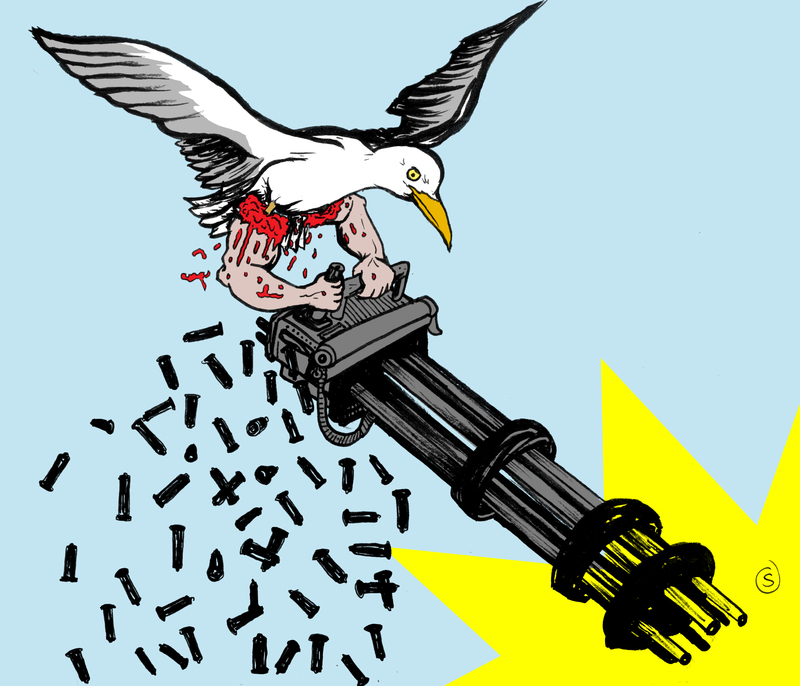 Up next on my Stock*Pile Sketch week… K Rian Miller’s Man-Gull. If you can’t understand the premise from this image, then this book isn’t for you. Just kidding, this book is for everyone, go to stockpilecomics.com and get a copy! 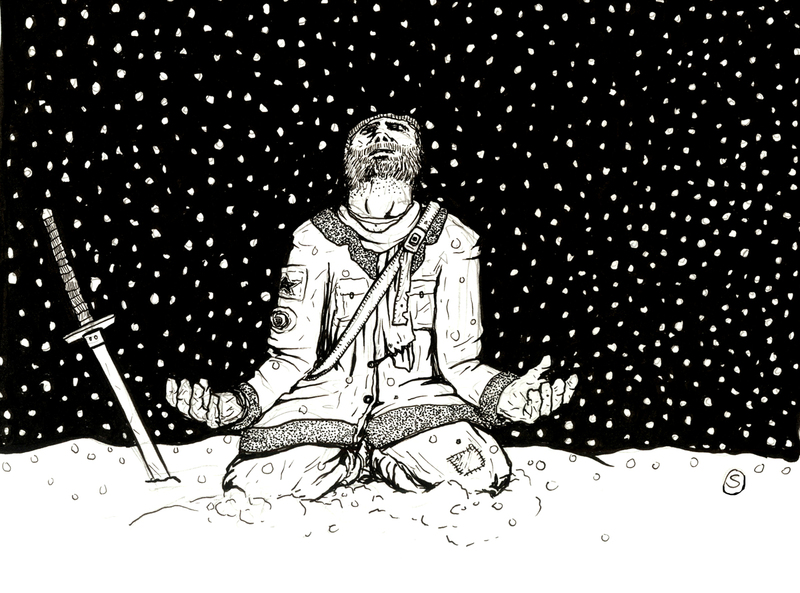 Let’s bug Rian to make sure he get’s issue 2 done for SPX2012! I figured I would start with Mr. Joel Lolar’s Forever Winter. I have known Joel now for 15 years, and have watched this project evolve for the past 10. It was a great day that Joel came by my work and we had lunch and he showed me a freshly printed Forever Winter #1 with all that hard work he put into it. It was a great sight to see. Currently Joel has banded together with fellow Kubert School students to assemble Stock•Pile comics over at www.stockpilecomics.com, so go check out their books and purchase a few! I will be posting a pinup sketch of each of their projects for the rest of the week!